Glider wicker set consisting of two gliders and an end table designed for those who really know how to enjoy themselves and relax. One single and one double glider with an end table. 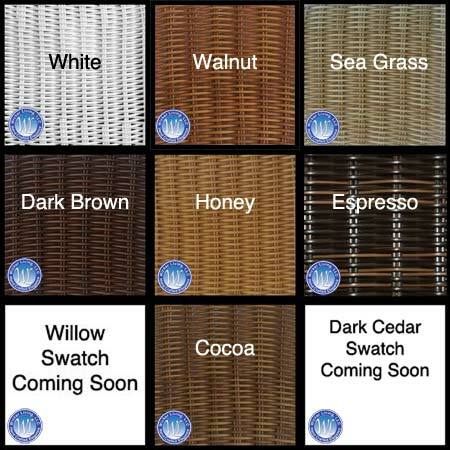 Place these pieces of wicker furniture on your patio set up to socialize or in a place for viewing the country side. Quality aluminum an resin components make these units worry and maintenance free. Cushions can be added as an option and you can choose a fabric that coordinates with your choice of finish and your home decor.